Google, Facebook and Twitter, three of the country’s most prominent tech companies, all testified before Congress this week that they had unintentionally been part of an alleged Russian operation to spread misinformation and propaganda during the 2016 presidential elections. 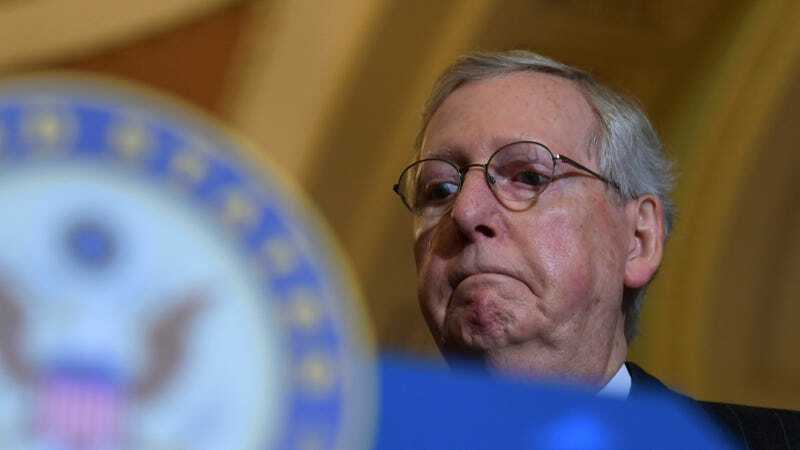 On Saturday, Republican Senate Majority Leader Mitch McConnell suggested that the companies involved could make good by helping the U.S. government “retaliate” against Russia. But he added he was a “little skeptical” about proposals to force tech companies to disclose the identities of those who purchase political ads online—something which could potentially hamper U.S. individuals and entities eager to practice similar political subterfuge. Instead, McConnell said, tech can make good by helping weaponize their platforms against Russia. It’s pretty clear from Facebook, Google and Twitter’s testimony this week that members of Congress are very displeased with their response to the alleged Russian meddling, including both by failing to vet their advertisers and shirking responsibility for months after the election. Most of the focus this week, however, was on how the tech companies should guard themselves against future attempts by foreign actors to game the system—as well as whether the government should impose more oversight to ensure that happens. Transparency, like the proposed regulations on political advertising, was at the top of the agenda. Weaponizing said tech giants to fight the Russians online was not exactly part of the discussion, nor is it really clear how the companies could do so. The effectiveness of the alleged operation to interfere with the U.S. elections is already kind of hazy; certainly it was egregious, but it doesn’t necessarily follow at all that the response needs to be a global cyberwar, nor does it follow that conscripting Silicon Valley into the effort would be particularly helpful. It could just make the internet into a less open platform that’s even more rife with propaganda, malevolent hacking, and surveillance. As Fast Company noted, big tech companies currently seem more interested in de-escalating cyberwarfare (and thus avoiding its headaches) than starting it. Instead, this kind of rhetoric looks an awful lot like a pretext to giving the U.S.’ already powerful national security apparatus even more leverage over the online world in which Americans now do much of their daily basis—something which should be slightly concerning to anyone worried about whether, say, Russia suddenly becomes an excuse for the government to demand encryption backdoors or extensive surveillance of social media. This is how that stuff happens. We’ve reached out to Facebook and Google for comment, and will update this post if we hear back. Twitter declined to elaborate beyond its comments at the hearings this week.